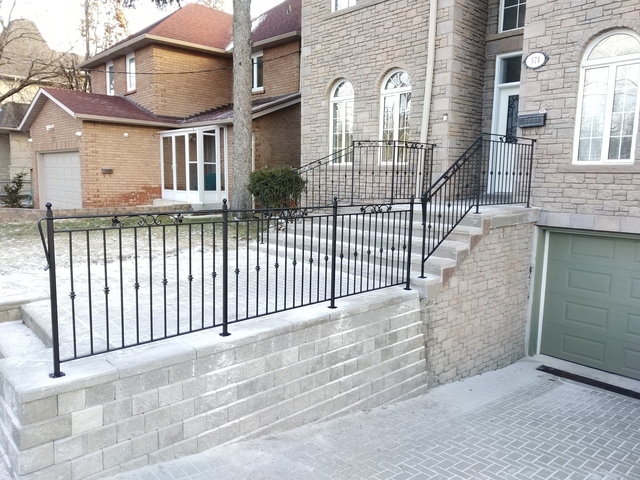 Ron was easy to work with, polite and very professional in our communication to complete the exterior iron project. There was clear communication between all parties, he was on site during the installation is and will definitely work with Bellevue Landscaping again. Thank you! 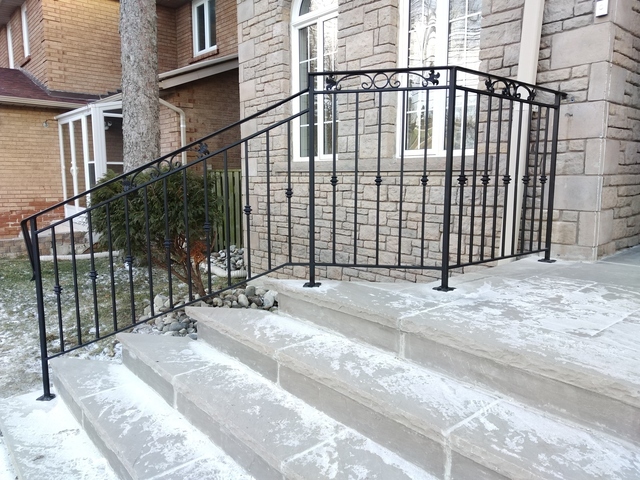 It's always a pleasure designing a space with various materials such as wrought iron, natural stone, and interlocking. 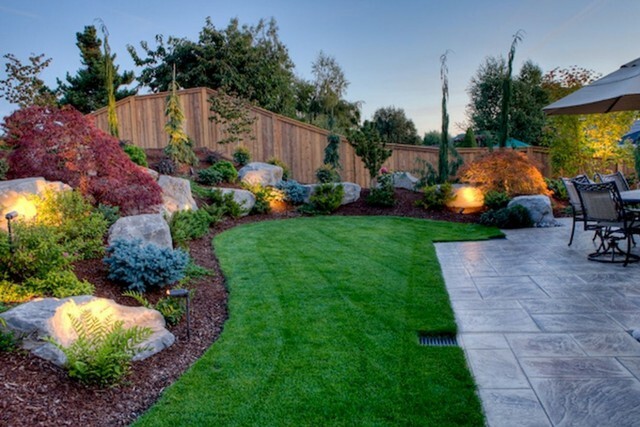 We highly recommend Ron / Bellevue Landscaping. He was very professional, efficient and the work was done on time and within the budget that was initially set. Ron provided us with a great ideas and options that fit within our budget. He addressed all of our questions and concerns. We are very happy with our new fence and gates. We have Ron / Bellevue Landscaping scheduled to return in the spring to design and complete landscaping, for the front of our home. Thank you. It was a real pleasure building your fence and gates! What can I say? Wow!! Amazing amazing job by Ron and his team at Bellevue landscaping. 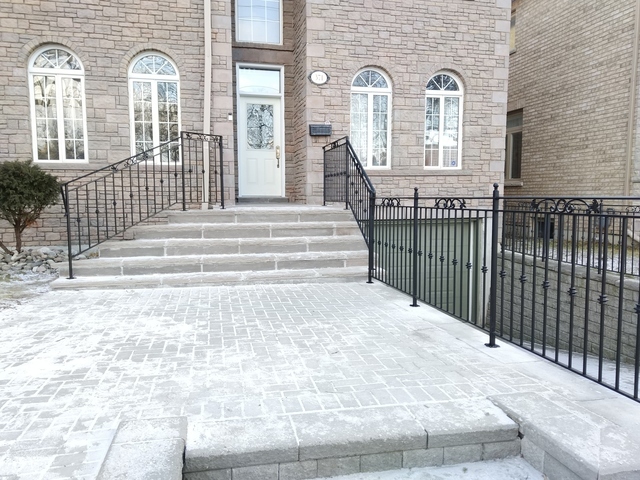 Over the past two years I’ve gone through a series of renovations inside and outside and have dealt with several several trades people, unfortunately not all of them successful experiences. However, Ron and his dedicated team by far exceeded my expectations. 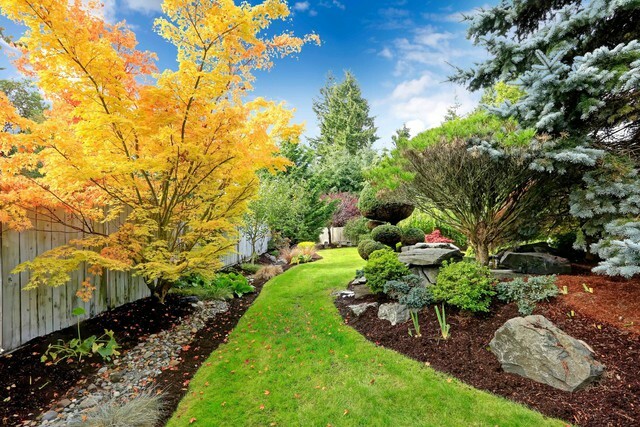 Bellevue landscaping was so very easy to work with, they showed professionalism, dedication, experience, and punctuality, true true pleasure to work with. They turned my backyard from a rat’s nest into a beautiful oasis, you can tell from the before and after pics. I’ve already recommended them to my neighbors, I highly recommend them for anyone who is looking for a result that you’ll be extremely happy with. Again a big Thank you Ron and the Bellevue Landscaping team!! 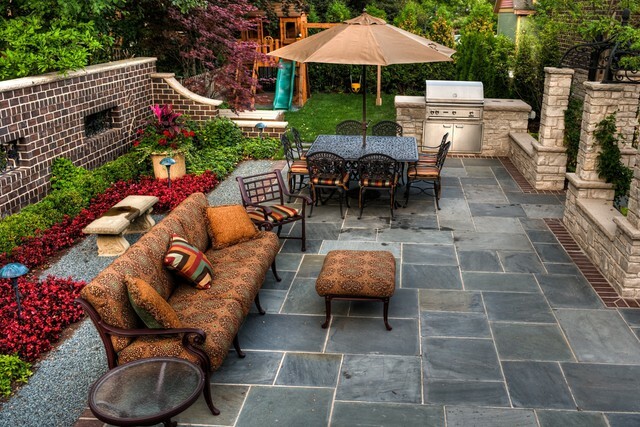 It was fun to work on such a dramatic transformation and I'm glad to hear you can now fully enjoy your backyard! We contracted Ron of Bellevue Landscaping to build us a backyard fence. He runs his company very professionally. He communicated with us regularly and very clearly all throughout the project. We met one of his subcontractors and one employee, and they were all very pleasant and accommodating. They did a fine job. The fence is just what we wanted. Working with Ron and his team was a pleasure all 'round. Thank you! 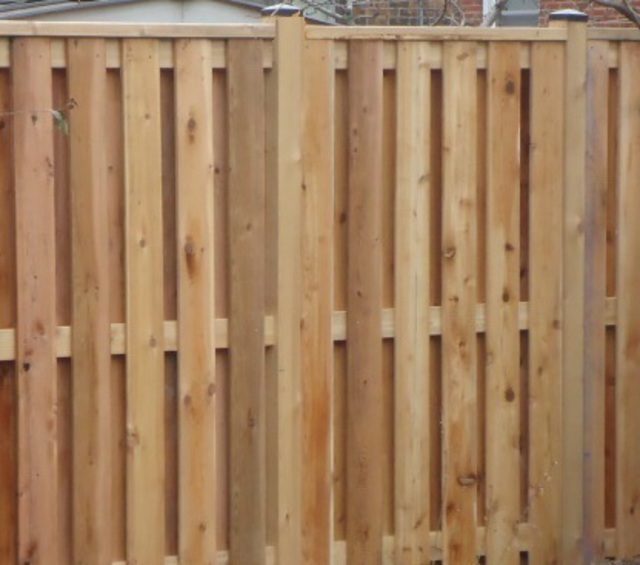 It was an absolute pleasure building your cedar fence. It will provide the perfect background to your yard. My husband and I had no idea how we could build a nice deck and enjoy our backyard. Our patio doors are at the side of our home and our backyard is not flat. For 5 yrs we have avoided the backyard. When we contacted Ron and explained our situation he was at our home the next day. Within an hour he came up with a plan for a 3 tier deck. This project has a few bumps in the road as the ground in our backyard was not easy to work with. But Ron found a way to make things happen. He never gave up and kept persevering. Our side patio doors are no longer inconvenient due to the amazing design that Ron came up with. We are loving our backyard space now and our deck is gorgeous. Ron is a man of his word and takes great pride in his work. He ensures that is clients are happy with the end result. We would not hesitate to recommend Ron and truly appreciate everything he did for us. 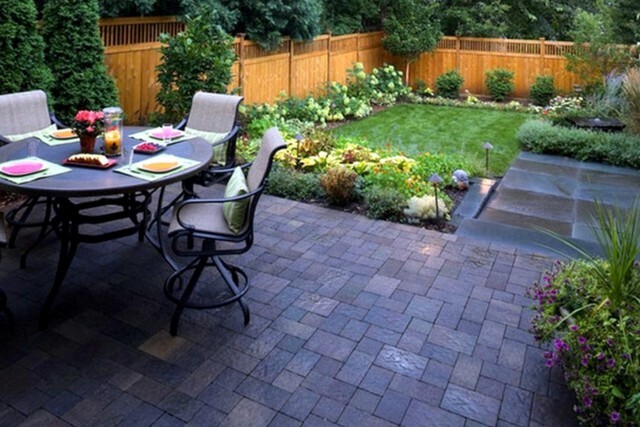 I'm glad to hear the new deck is giving you the chance to spend more time outdoors and enjoy your backyard. It was a fun project. Recently this company replaced my ugly old wire fence to a beautiful alluminum fence and gate. Since It was a rather small project, other 2 contractors I contacted didn't show much interest and quoted rather high prices. And then I got a recommendation of this company from my husbands brother who recently did their fence. After just one call, everything was so easy and smooth. He, the owner, is very enthusiastic and puncture and up to his words and quote very reasonable price which makes you want to start right away. Work details were written so clearly on the contract so you don't need to be scared. During the process, he always showed up on time and did the clean job and communicated with us ahead incase of any delays. I heard many horrible stories about contractors but you don't need to have any anxiety with this company. Also you are gonna get a beautiful job!!! Thank you for the kind review. Your fence and gate are a beautiful addition to your home. I really enjoyed working with you! within the budget I had in mind. The work has now been completed and I am thrilled with the results. I found Ron a wonderful person to work with. He is professional and thorough and his craftsmanship is excellent. I highly recommend him. I'm glad to hear you're happy with the steps. Go Blue Jays! I am very pleased with the back yard fence that Ron constructed for me. He is very professional and friendly and aims to please. He warranties his work and provides quality workmanship. He takes pride in his work and takes his time to do a good job. He did not rush, and asked for my input throughout the project. When the job was finished, he cleaned up and left everything in good order. I had him return, a few months later, to repair my front entrance interlocking stairway. It is now level and safe to walk on. Thanks Ron. Because of the inground-hydro line along my property line, the work was not easy. But the company owner(Rob) was very good with details and experienced with great manners and affordable price. I wanted a fence with gate to close off our backyard. I did some research online and found Ron. Out of all the contractors I spoke with, he was the most helpful and extremely quick to respond with a quote and visited us a few days later to plan the job. He came up with a design that was way better than what I planned or expected. He built a double gate which made way more sense and will be useful moving large objectes in and out of the yard. His attention to detail was amazing. We are so happy with his work and the quality of job he did. We have already recommended him to a friend and will be sure to hire Ron for our next project. He is professional, talented at his work, trustworthy, and affordable. We couldn't have been happier with our decision to hire Bellevue Landscaping for this project. In addition to the fantastic job he did for us, he also did a small job for our senior neighbour at no charge. She was delighted ☺. Thanks again Ron! Thank you! It was such a pleasure building your gate and I'm glad your children can now safely play in your backyard. We couldn't have made it through those really hot days without those Freezies and the coffee from your neighbour! E Transfer, Cash and Cheque. 2 Years on Labour. Kindly ask for more details.